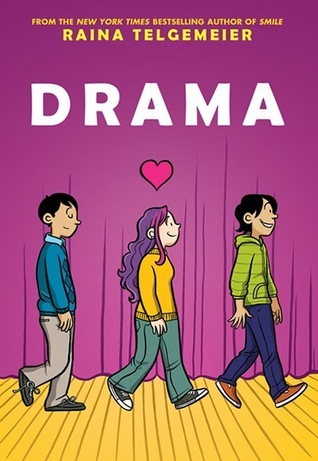 Drama is similar in tone and character to Telgemeier’s earlier work, Smile. The story is built around the musical theatre production at Eucalyptus Middle School. The main character–a 7th grader named Callie–is an enthusiastic member of the stage crew. Present at pre-production, auditions, rehearsals and performances, one aspect of the book allows the reader a good understanding of the fun and complicated process of creating a live theatrical production. In a way, those years of my life helped me to find my voice and gave me a wealth of artistic material to draw from.